Pequot Lakes Physical Therapy Services, Inc. - Pequot Lakes Physical Therapy Services provides treatment for a variety of conditions. Pequot Lakes Physical Therapy Services began in 1985 when owner and Physical Therapist Cynthia Rieck moved up north to the Lakes Country. Here she developed a practice that did not focus on one specific condition but all areas that could affect one's mobility and lifestyle. 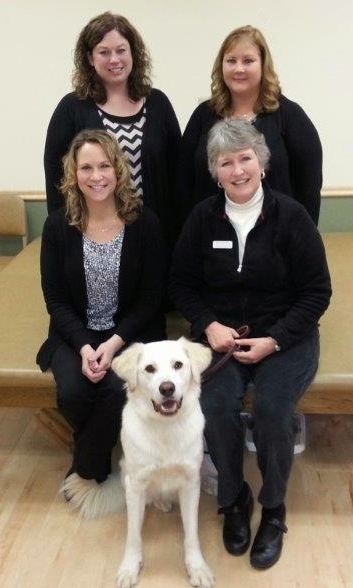 As a general practice, Pequot Lakes Physical Therapy serves any and all conditions. From post-operative rehabilitation to conditions stemming from accidents, athletic injuries, genetic disorders, musculoskeletal conditions or neurological diseases, our team of talented and experienced staff members can help make your life pain free and functional. Over its 25 years, Pequot Lakes Physical Therapy Services has grown to provide a wide variety of services in various settings. Physical therapists work with patients in the gym located at the office in Pequot Lakes, in the pool located at the AmericInn of Pequot Lakes, and some patients can even receive treatment in the comfort of their own homes. As the field of physical therapy changes, so do our treatment methods. Our therapists take pride in their continuing education and membership in the American Physical Therapy Association. Their dedication is evident in the ever-evolving care they give their patients.